Do you have dental pain, toothache? Dental conditions like cavities and periodontal disease often don’t have symptoms. For that reason, they’re considered to be silent diseases. After treatment of these silent conditions, a person’s teeth and mouth will experience acute inflammation. Let it be known that this is a normal part of healing. At times, this acute inflammation can create intense dental pain, toothache and require dental pain management. 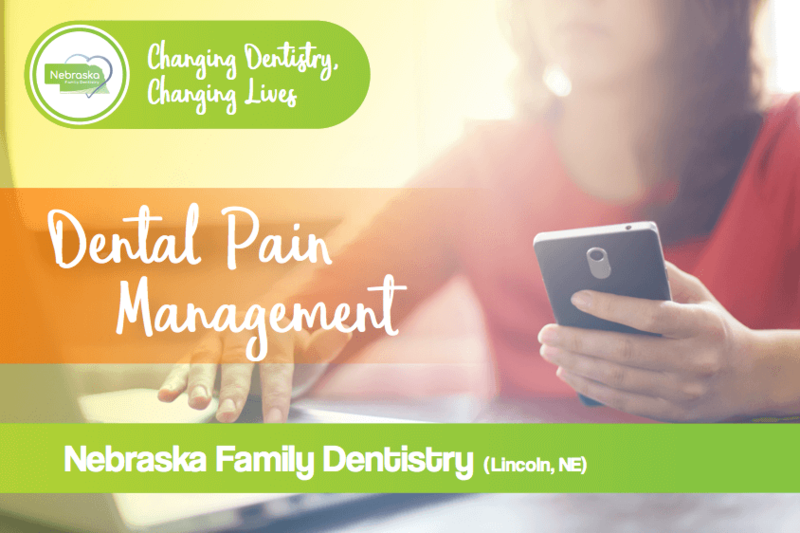 In any case, effective dental pain management is a must. Dental pain, toothache after treatment can happen to anyone. Here we’ll explore the best ways to deal with dental pain. For our purposes, dental pain management refers to the medication and tips dentists prescribe to manage dental pain. There are tons of different combinations out there. For that reason, you’ll need to know the best way to manage. Are Opioids the best for dental pain, toothache management? According to a report by the Center for Disease Control (CDC), opioid abuse reached a record high last year. Also, President Trump officially declared American opioid abuse a public health emergency just a few weeks ago. Opioids refer to many legal drugs that are prescribed for pain management. These include common prescriptions like oxycodone (Oxycontin), hydrocodone (Vicodin), morphine and codeine. Other drugs like heroin and fentanyl are also considered opioids. One of the problems with opioids is that they cause users to experience euphoria. Because of this, it’s easy for users to fall into opioid abuse. That’s why drugs like heroin and fentanyl are highly addictive. It’s common for users to become dependent on opioids, often leading to heightened tolerance. Ultimately, higher tolerance levels tend to lead to overdose. Estimates report that dentists prescribe 12 percent of prescription opioids. Opioids can help with managing dental pain, but often it creates symptoms of nausea and does not provide excellent control of managing acute dental pain. The two accepted good alternatives to opioids for acute dental pain management are Acetaminophen and Non-Steroidal Anti-Inflammatory Drugs (NSAIDs). Acetaminophen is a common over the counter pain reliever. Tylenol is the most well-known acetaminophen medication. Dentists often prescribe acetaminophen in tandem with opioids for a short period. Like any medication, acetaminophen has its downsides. 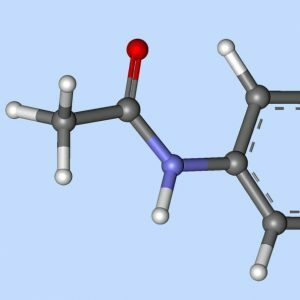 The main drawback is that acetaminophen is very hard on the liver. Because of that, it isn’t recommended for anyone with liver disease. NSAIDs are a little broader than acetaminophen. Most common NSAIDs are over-the-counter drugs, some are by prescription only. Aspirin and Ibuprofen are probably the most commonly used NSAIDs for dental pain. However, you’ll see tons of less common NSAIDs as well. Just like with acetaminophen, NSAIDs can have drawbacks. While they’re generally safe, they do have some side effects. In rare cases, these include nausea, dizziness, fever, and drowsiness. Additionally, more severe possibilities could include liver failure, kidney failure, and ulcers. For this reason, if a person is having liver, kidney, stomach, or any auto-immune conditions, we recommend avoiding NSAIDs. For anyone that does have these issues, your doctor or dentist can talk you through options that will be best suited for you. The best alternative for managing acute dental pain, toothache? If you do develop acute dental pain, the best alternative to managing dental pain is to alternate Ibuprofen and Tylenol every 6 hours. By alternating those two medications, the acute dental pain can be managed until you see a dentist for treatment. When it comes to managing dental pain, drugs are far from the only solution. Some of these will be dependent upon the type of pain you’re experiencing. For instance, you’ll treat a toothache differently than post-operative discomfort. 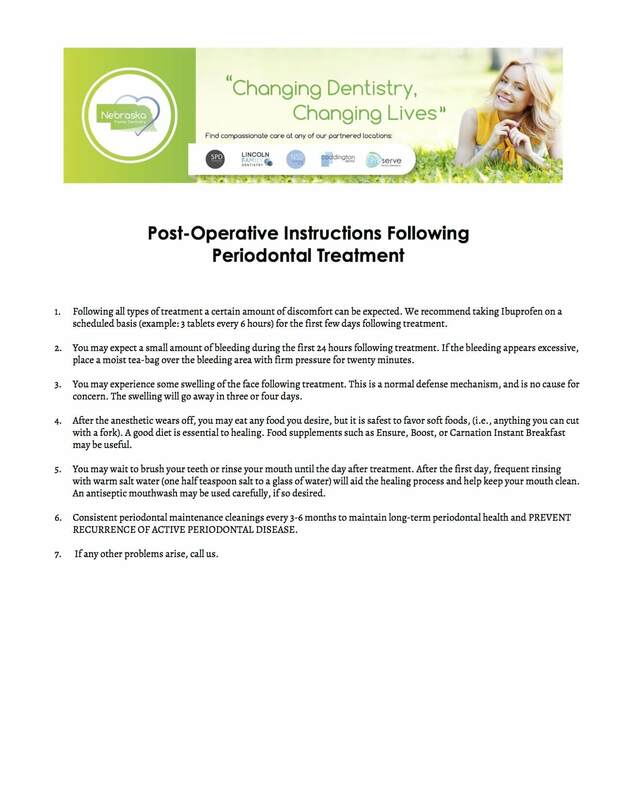 Below are a few of our other dental pain management tips. 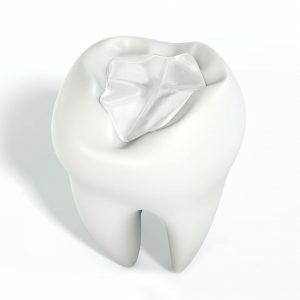 Use a bag of green tea like gauze on the area experiencing a sharp pain or persistent bleeding after tooth removal. Rinse your mouth with warm water. Like we mentioned above, dissolving salt into warm water is especially helpful for kids. However, there’s no reason you can’t do that as an adult too! It’ll promote healing if you have an open wound, and provide a little comfort too. Using clove oil on the wound can also help provide comfort. Use Orajel for severe gum pain or a toothache. Use Sensi Strips by Crest for a severe toothache or extreme tooth sensitivity. When it comes to children, we have to be a little more careful about treatment. They’re more susceptible to dental infection. This is because their immune systems are not as developed as those of adults. Whatever you do, don’t give your child aspirin. Kids taking aspirin has been linked to Reye’s Syndrome, which can be fatal. If your child has any type of facial swelling due to trauma, you can use a cold pack on their face to help reduce the swelling. Ibuprofen is a good bet for kids, and be sure to follow the dosage instructions on the label. If you use other kinds of dental pain management medications, look for children specific types. You can also dissolve salt into warm water and have them rinse up to every 2 hours. 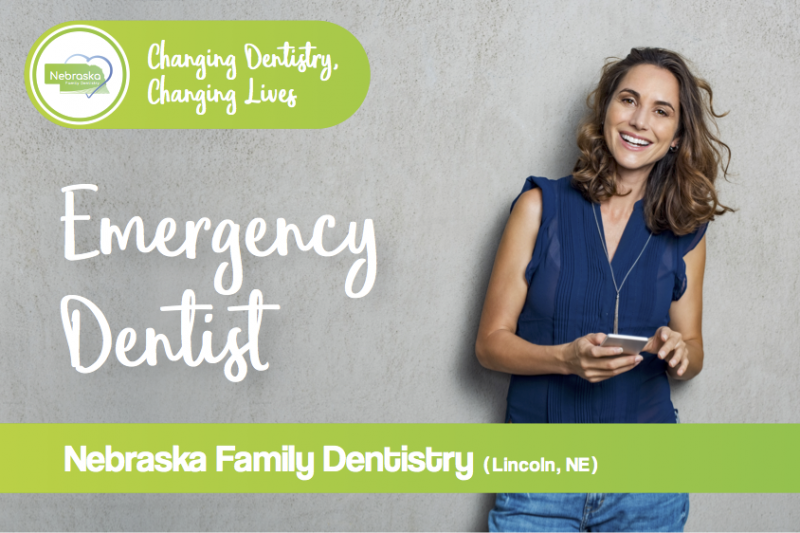 If your child has swelling due to infection, this can be a life-threatening situation, and you should see one of our emergency dentists or go to the hospital ASAP. VideoIs it normal to have Sensitivity after Dental Work? Q: My tooth did not hurt before fixing cavities, but after my dental work, I have a severe toothache. 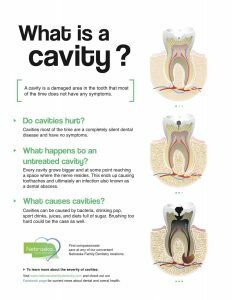 A: Usually, small to medium sized cavities do not hurt. After the tooth has been treated with a filling, the body responds by creating short-term inflammation as an effort to heal the area. This is true of any part of the body after an operation. If this discomfort does not eventually subside, the tooth may not have responded normally to the treatment. In cases where the tooth responds by creating chronic inflammation over a long period of time, it is possible that the tooth was unable to heal and will require a root canal. If this occurs, it is important to call us to examine the area and help you determine if further treatment is necessary. 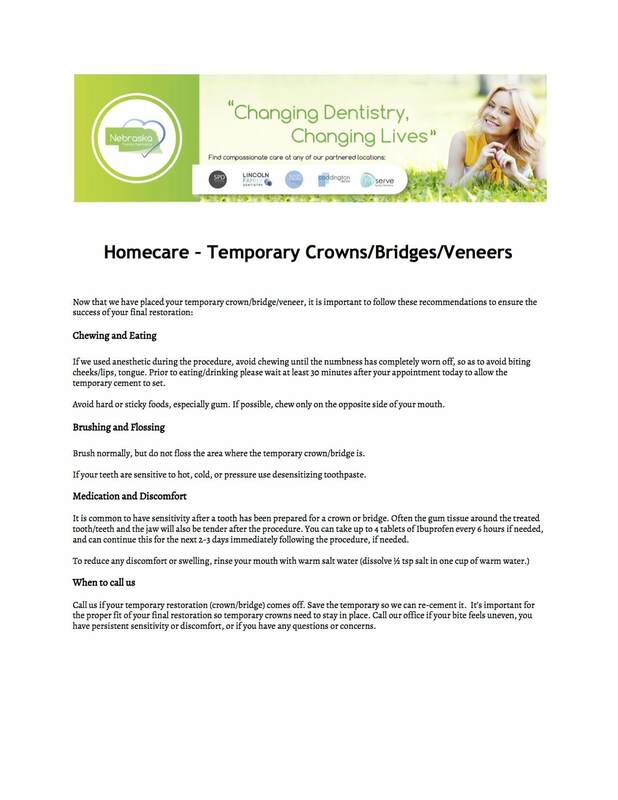 Q: My teeth are very sensitive to hot and cold after recent fillings, is it normal? A: Dental sensitivity after the placement of a filling is common and a result of your tooth healing itself. Anytime a tooth is treated, the nerve inside of the tooth becomes irritated. Eventually, this discomfort will subside if everything is healing normally. Taking ibuprofen and using sensitivity toothpaste can help ease these symptoms during the healing process. Q: My tooth is very sensitive to biting after recent dental work, is it normal? A: When the filling is finished, and the dentist is making the final adjustments to the bite, it is often possible that patients are unable to bite and chew as they normally would due to the effects of the local anesthetic. This can lead to a bruised, sore feeling when patients bite or chew afterward. This is easily adjusted by your dentist and the best if done when a patient is not numb. Q: What can I do to ease a persistent toothache after recent dental work? A: Aching and temperature sensitivity are normal symptoms after receiving dental work. Your body is sending inflammatory cells to the area to help with the healing process. This discomfort is temporary and should subside over time. During this time, it is advisable to take Ibuprofen or Tylenol to manage the inflammation, along with using sensitivity toothpaste. Q: How long will my tooth hurt after a filling? A: Every patient is different, and it can depend on the treatment performed. In most cases, symptoms will improve within a few days or weeks. It can take up to eight weeks for the acute inflammation to subside. If you are still experiencing symptoms months after the treatment, it is possible that the tooth was unable to recover properly and chronic inflammation set in, requiring further treatment. Q: I have a toothache after a dental filling, do I need a root canal? A: It is common to experience some discomfort for a few weeks or months after a filling. This is a normal part of the healing process. If this discomfort does not subside over time, it is possible that the nerve did not normally respond to the treatment and may have developed chronic inflammation. When this happens, sometimes a root canal is the best option to save the tooth. 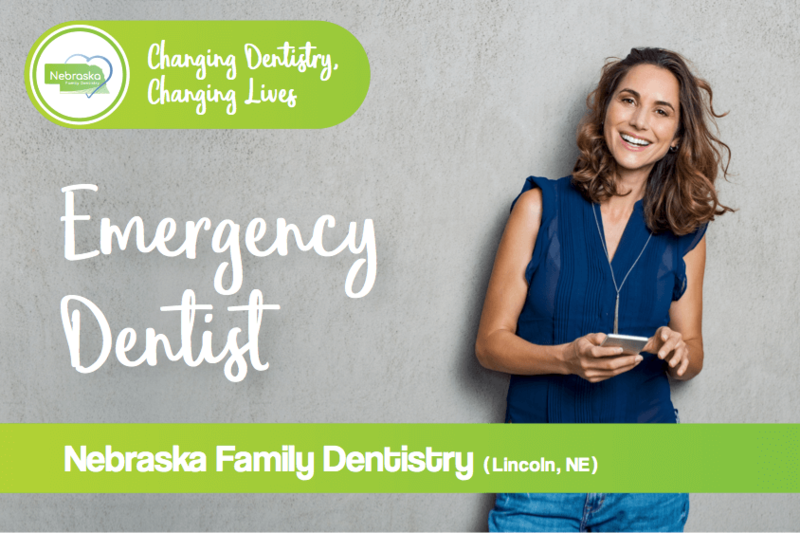 Q: Can I get a cavity under a new filling? A: Unfortunately, very little of our dental work will last a lifetime. The mouth is exposed to strong chewing forces, temperature changes, bacteria, and acid from our diet. It is possible that cavities can form around the margins of fillings. In order to help your dental restorations last longer, it is a good idea to practice good oral hygiene, brushing at least twice daily, flossing, and using mouth rinse. Avoiding sugary or acidic drinks, grinding, or chewing ice can help prolong the life of your dental work as well. Q: How do I take care of a new dental filling? The most common reason for fillings to need to be replaced more frequently is grinding, chewing ice, or not practicing good oral hygiene. 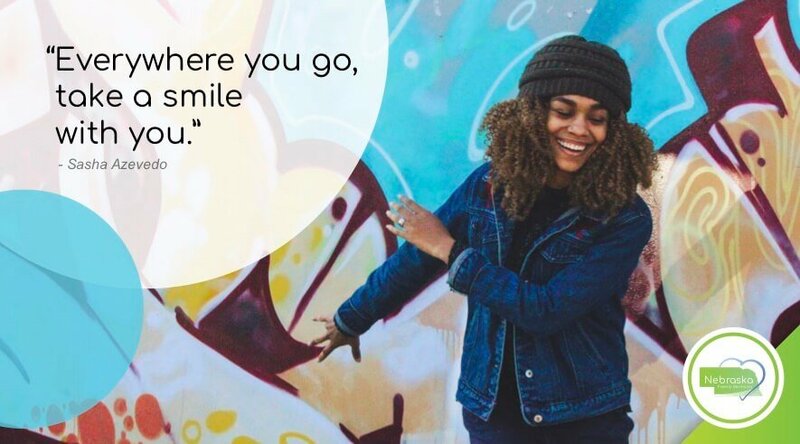 It is a good idea to see your dentist regularly for checkups to examine the integrity of your restorations and help you identify any causes for abnormal wear and tear on your dental work. Q: I had a dental crown placed and now I have a toothache after getting my new crown. Is it normal? A: There are three potential reasons that this may be happening. One reason is that the nerve of the tooth is irritated from the procedure and needs some time to calm down and heal. This is a normal part of the healing process after dental work is performed on a tooth. Another reason is because your bite may need an adjustment. The third reason could be that the tooth was unable to heal itself and is now in a state of chronic inflammation, which is a condition that will require a root canal. Q: I had a dental bridge placed, and now I have sharp pain years later. Is it normal to have pain/toothache under my dental bridge? A: It is typically not a good sign if there is pain around older dental restorations years after they were placed. It is possible, that the supporting teeth around the bridge have decayed around the edges of the bridgework reaching the nerve, causing infection. It is a good idea to call our Lincoln dentists and have one of them examine the area with x-rays to determine the cause of this pain. Q: What is the best sensitivity prevention toothpaste to stop toothaches after dental work? A: Sensodyne is a great option, but any brand that contains fluoride and potassium nitrate are effective in reducing sensitivity. Crest Sensi-Stop Strips are also a great option. Q: How long does it take to recover from a deep cleaning? A: There is virtually no recovery time needed for a deep cleaning. The local anesthesia will wear off a few hours after the procedure. It is normal to experience some tenderness in the gum tissue for a few days, along with temperature sensitivity in the teeth. Some patients will notice mild aching for a few days afterward. It is helpful to take Ibuprofen or Tylenol and use warm salt water rinses to soothe the irritated gum tissue after this treatment. Q: Why do gums hurt after deep cleaning, periodontal treatment? A: In order to fully remove the calculus or tartar that has formed beneath the level of the gums, instruments must be inserted between the tooth and gum. There are small ulcerations in the gum tissues in these areas from the chronic inflammatory process the body has created to fight the bacteria. These areas can feel irritated after removal of the bacteria. The removal of this bacteria is essential in stopping the disease process from continuing. The gum tissues should feel much better a few days after treatment. Q: Why are my teeth more sensitive after deep cleaning, periodontal treatment? A: There is often a layer of tartar that has formed around the gum-line, creating a barrier between the tooth and the temperature changes that occur in the mouth during eating and drinking. This layer acts as a thermal insulator for the tooth. Once this layer is removed, it allows direct contact between the liquids and foods and the tooth structure. Patients can manage this by regularly using sensitivity toothpaste. Q: What not to eat after a deep cleaning? A: Due to the effects of the local anesthesia, it is a good idea to avoid foods that are very crunchy or very hot until the anesthesia wears off to avoid biting and burning the tongue or cheek. Favoring bland foods for a few days might help to avoid any further irritation to the gum tissue. Q: Can I drink alcohol after a deep cleaning? A: It is safe to drink alcohol in moderate amounts after a deep cleaning, although it may increase bleeding when brushing and flossing directly after this treatment. Q: Can I smoke after a deep cleaning? A: It is always advisable to avoid smoking in general for better overall health and well being. Smoking can delay healing and accelerate the progression of periodontal disease. There is no risk of secondary infection or postoperative complications after the deep cleaning if a patient chooses to smoke afterward. Q: When do I know if I need a root canal? A: Most patients do not realize that cavities do not hurt most of the time, but when cavities get removed, the tooth can become sensitive to cold and hot. This sensitivity is a normal part of healing and is caused by acute inflammation. Acute inflammation is a part of the healing process, and because of that, it is normal to experience extreme sensitivity to cold and pressure after a newly placed filling. If the sensitivity to cold and hot does not go away, then chronic inflammation can set in requiring root canal treatment. At this point, if this type of inflammation (chronic inflammation) will not go away, a root canal or taking a tooth out is the best option to treat a sharp toothache. 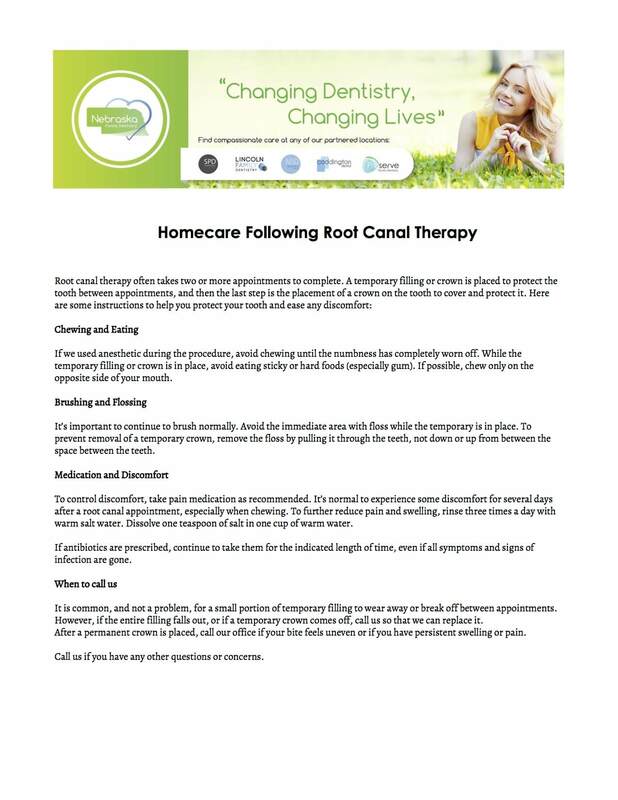 Q: Is it normal to have pain or sensitivity after root canal therapy? A: Be sure not to chew or bite on a treated tooth until the full root canal treatment is completed. It is normal to have mild discomfort after root canal therapy. Q: How long does pain last after root canal therapy? 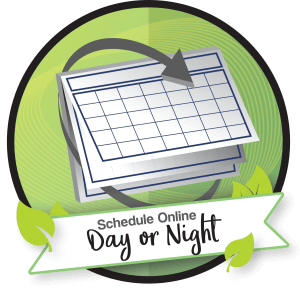 Q: Lincoln root canal dentist: Will I need to take time off work after root canal procedure? You can expect to be numb and to have mild jaw soreness after root canal therapy. If your job requires talking to people, your mouth may be numb for a few hours and you may want to take the day off. In general, you can go back to work right after root canal therapy and continue with your regular activities. Most patients do return to work soon after root canal therapy.